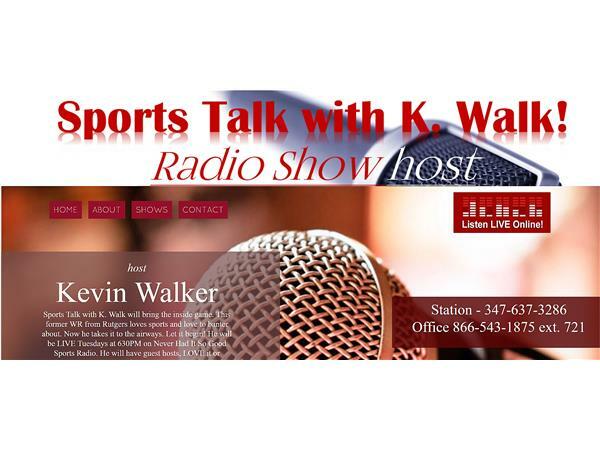 Sports Talk with K. Walk HOST Kevin Walker!! Please tune in to 2nite's Sports Talk With K Walk on Never Had It So Good Sports Radio from 6:30pm to 7:30pm: My guest will be My Former Teammate at Temple University and Former NFL Player, who played with The Colts, Panthers and Dolphins! Mr. Larry T. Chester. Please call in to (347)637-3286 to enjoy the show!